Here at Axero, we often forget to talk about ourselves. We're 100% focused on helping our customers grow their businesses and streamline their operations with the best intranet software on the market. More often than not, the best way to do that is to share what we see is actually working for our customers. We write articles and case studies that showcase and communicate these winning solutions. And they work. They help people. They get a ton of traction on Google Search because they solve problems. They get shared because they resonate with people. Sometimes, though, to really help people, we have to flip the script a bit. And that's what I'm doing with this post. I'm turning the camera on myself, so to say. Axero, and what I've been doing here for the last several months, is one of the best lessons I could give you as 2017 gets underway. For the first time in years, I'm at the front line of our sales efforts. It has absolutely rocked my world … all in good ways. As co-founder of this company, I'm no stranger to sales conversations. I did most of the selling early on. But as we grew, we added sales staff, and I stepped away from that role. Axero is changing and growing at a rapid rate, which means our teams are changing and growing, too. I stepped into the lead sales role temporarily to establish new standards and get this all-important team on the right track to support our product and its exponential growth. Well, it was supposed to be temporary. Here's what happened: I learned some stuff … and I liked it. For the first time in years, I'm talking to people before they become customers. I'm getting an intimate look at what problems companies are having prior to implementing an intranet solution. I hear the challenges teams face when it comes to communication and knowledge sharing. They see the benefits of having a company intranet, and they're trying to figure out the logistics. For example, what budget to set aside for it, how to install it, and how to ramp up the users. These people usually aren't the ones with the checkbooks. 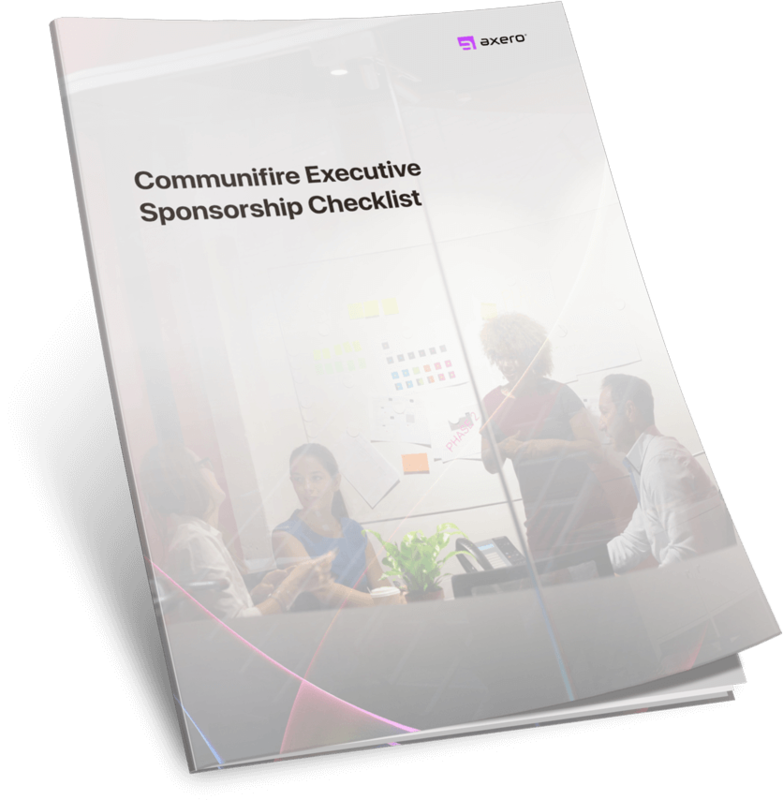 They have to get executive sponsorship in order to make this happen – which means they need to present their case compellingly. Up to now, I've provided a lot of resources to help people solve the first challenge. 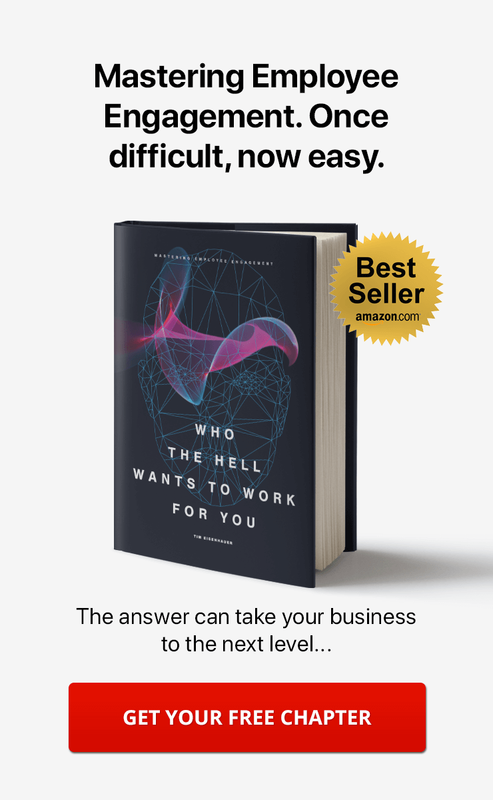 I've written articles and e-books on these subjects – and in my sales role, I've helped people navigate these challenges. To help customers with the second challenge, I had a lot of 1:1 conversations. I asked a lot of questions, and guided people on how to make the case to their executive leadership. Over time, I found commonalities in all of these second-challenge conversations. I discovered that there were four specific issues that executives cared most about – and that an intranet could solve quickly, easily and cost-effectively. Focus on these four issues, and you'll undoubtedly make your case for an intranet. The time has come for me to share these discoveries with you. 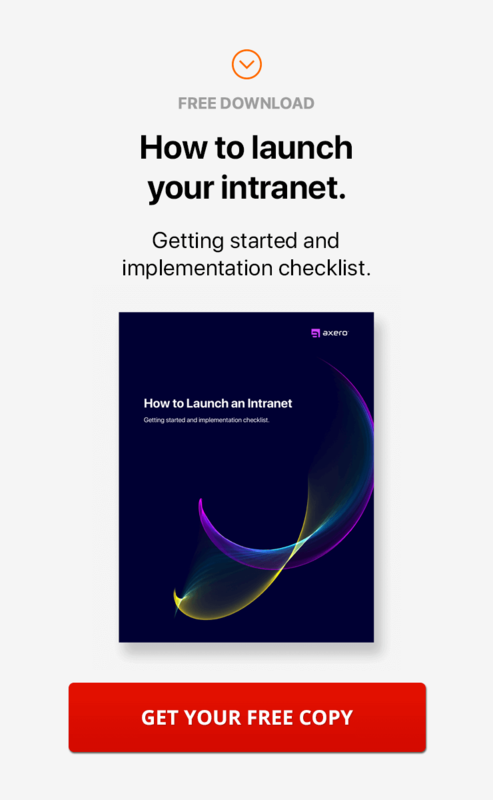 I'm going to equip you with the 4 most important pieces of information you need to make your case for an intranet. I'm also going to share some stories with you that you can pass along as you see fit. Because you know your executive leadership better than I do. Some people need anecdotal evidence in order to make the numbers click. This is by far the number one cost that companies don't notice. So I'm putting it as #1 on this list, and I'm going to spend some extra time on it. This section alone might be enough ammo to get sign-off from your executive leadership. All companies today rely on email to communicate. Email is a business standard, and there's good reason for it. It's asynchronous (you can send an email now and know that the recipient will receive it the next time they check their inbox). You can send attachments with relative ease and it gives you a "paper trail" of important conversations. Even with financial cost of enterprise-level email systems, it can still seem like a smart way for people to converse asynchronously. The problem is, it's not actually cost-effective. A 2014 Contatta (now Ryver) analysis estimated that over $1.79 trillion is spent on business email per year. In 2017, no doubt that number has gone up. That's not actually the biggest cost, though. You see, communicating over email adds some serious inefficiencies and risks to businesses. While your company might be paying a relatively low price for its email system, email as a practice is costing you money. As I mentioned, email is asynchronous – which is a real blessing. But it's also a huge time waster and can cause massive confusion. Say you email five people about a project you're working on together. You're counting on all five people to respond to a question you've posed in order to move forward with the project. Person 1 responds right away. Person 2 never got the email because it landed in their spam folder for some unknown reason. Person 3 responds after about an hour, but poses a new question. Person 4 responds to your question, but didn't see Person 3's question yet. Person 3 emails again asking for Person 4 to answer their question. Person 4 answers, so you send out another email with an update on how the project will move forward … completely forgetting that Person 2 and Person 5 haven't answered any of these emails yet. Person 5 returns from vacation the next day to a string of 7 emails, feels overwhelmed, skims the emails and misses the point of the email string entirely ... to which the original email sender responds with a terse note. Then Person 5 quits because they can't handle the stress. You may be laughing, but think for a moment. How do you feel when you spend half your day on email back-and-forth, and projects get hung up because of lack of response (or just simple confusion)? A project Activity Stream or discussion forum in your intranet is an easy way for everyone involved to see and contribute to the conversation without a bunch of email back-and-forth. Email may seem like a simple and straightforward way to share documents, but in reality, it just opens a can of worms. Every time the document gets updated, you have to send out a new copy … and cross your fingers the recipients save the updated version of the document to their hard drives. This is barring any issues with large files clogging up servers and not getting to their destinations, of course. Even if you're using a cloud-based document management system and can simply link to the updated doc in your email, you still have to send out that email and hope everyone gets it and uses the most current version. In either scenario, there are a bunch of different versions of the file floating around. There is no way for users to be confident that they're using the most recent version of the doc. Sure, this costs you in efficiency and accuracy. But if that doc has pricing information on it, it can immediately cost you in dollars, too. An intranet solves this problem once and for all. Store your file in a single location. Upload a new version of the doc. People in your network associated with the project instantly receive notification in their activity stream. Notifying people when a document has changed requires no effort on your part – and no chance that the email will get "lost in transit." If you need to draw the attention of a particular person in the group, use an @mention. Done. Unless your entire project team is made up of those unicorn-like "inbox zero" people, there's a high likelihood that your project update email will get lost in overflowing inboxes. Or delivered to the spam folder. Or simply ignored in favor of other, more urgent emails. Managing your project via your intranet ensures that no one can use the excuse, "But I didn't see the update!" Why? There is a complete revision history of each document, so comparing changes is a snap. Teammates can comment on uploaded files. So you can keep conversations in one place and easily see who is participating … and who isn't. General project updates and queries can be posted to the project wall or discussion thread. No searching through overcrowded inboxes necessary. No chance a teammate will say "I didn't get that message." It's all right there on the project page for all designated members to see. With Communifire, this even works with external project partners. Instead of emailing them files or granting them access to an internally stored file, you can give them limited access to the project group (or Space as we call it). They can see project updates and contribute to conversations without seeing anything they shouldn't see. That leads to better project management and more intimacy with project partners without the associated risks. How much time do you spend on inbox management in a given day? Make an educated guess. Let's say 1 hour. Then multiply it by 261 – the average number of working days in a year. So that's 261 hours a year you spend managing your inbox. That's a pretty big number, don't you think? Let's look at it percentage wise. There are an average of 2,087 working hours in a year. 261 hours of inbox management / 2,087 total working hours = 12.51% of your work year is spent managing your inbox. Imagine what else you could do with those hours. Learn a new skill? Start a community outreach program? Train the intern to do that task you don't love so much? You know what's even scarier? That 12.51% number is LOW. A report from McKinsey found that high-skill knowledge workers spend 28% of their time managing email. You know it and I know it. There are better ways to spend your time than sorting through email, deleting stuff you don't care about and sending acknowledgements for emails you do care about. None of which you have to do if you're communicating about projects, tasks, events, etc. via your company intranet. The issue of knowledge gaps (a.k.a. information gaps) has come up again and again in this section. Updates are frequently lost, misplaced or accidentally deleted when sent through email. We haven't touched on human error, though. Sometimes we act like a human and simplemindedly forget to include people on emails. Or we don't realize a person should be included on an email. There is no way for those missing team members to access the information stored in your inbox. Using an intranet as your knowledgebase, communication hub and version tracker eliminates a lot of those human-error situations. All the information about a project is stored in one place, tagged appropriately and easy for the whole team to access. Adding a new team member is as simple as adding them to the project page. They'll have instant access to all the conversations, the entire history of the project, and any important files. "Having multiple systems wasn't efficient. Too much information was lost in email and needed to be recreated from scratch each time. "[W]e set up two types of spaces. Every one of the Experts is in the ‘All Experts' space, along with all staff members. This is where most of our documentation lives, as well as Support Tickets. We also have channel-level spaces for Experts who share a topic. For example, all the food Experts have a food space where they communicate and share best practices specific to their needs. We have a social space for discussing social networking questions, too. As a team leader, you know how important internal communications are. You know that when your communications program is healthy, employees are motivated and inspired. When communications aren't up to par, employee morale suffers, projects get off-track, employee engagement plummets and productivity becomes a real issue. You know that's why you lost that awesome team member last month. And why that project went awry in Q2. It's why you feel out-of-the-loop on executive-level decisions. And why sometimes you just want to call into work sick and go fishing. Poor internal communication during times of change increases misconduct by 42%, according to a study from CEB. So how does an intranet cut the serious cost of lost employees and spiraling morale? Regular, high-value, transparent communication is critical – whether you're in a time of change or not – and an intranet provides a central hub for it. The list goes on. Email won't do that for you. Meetings won't do that for you. An intranet will do that for you. This is important because 26% of employees are likely to look for a new job during the next 12 months (up from 18% in 2015). That means you're always on the verge of losing your most valuable team members. You need to do something about this. You need to keep your valued team members engaged, happy and empowered. Does your executive leadership need more than your passionate account of how valuable each of your team members is? Use this turnover cost calculator and tell them exactly how next quarter's budget will be spent if they don't approve your intranet so you can communicate better now. Your leadership probably doesn't need a whole lot of statistics to know that meetings can be huge time-wasters, productivity-drainers and energy-suckers. In fact, your boss has probably gotten adept at saying no to unnecessary meetings for these very reasons. Your executive leadership needs to know how meetings are costing the company. $37 billion: That's the cost of unnecessary meetings to U.S. businesses each year. 37%: The amount of work time employees spend in meetings. 91%: The percentage of people who admit to daydreaming during meetings. Meetings have their place. Productive work time is not that place. Your time and your teammates' time is better spent getting work done. So take collaboration and communication time out of meetings and into your team intranet. Everyone involved in a project can get up-to-date and contribute to conversations when it makes sense in their work schedules. Team members can review the latest document when they need to. Employees can comment and provide their unique perspectives when they're not in the middle of urgent projects. Most meetings become unnecessary when you have an effective intranet solution in place. Less meetings = more productive work hours. How does your company handle customer support? Many larger companies have multiple support platforms, plus a call center to handle phone calls. Those companies waste a lot of money … And they recoup that expense by decreasing benefits and laying off hard-working employees. Listen up, because you're about to make your boss feel like a hero. Imagine if you could equip your leadership so they wouldn't have to cut employee benefits this year. Or so they wouldn't have to do another round of layoffs. In other words, what if you could help your boss sleep better at night? No one likes to be the bad guy, after all. An intranet solution like Communifire can also be used to communicate with and support external customers. Yes, you can use the same platform that you use to collaborate internally to handle issues from customers. And if you're collaborating with customers on projects, that's a snap to handle with your company intranet, too. Just grant them access to a shared group. Notifications of issues and questions pop up right where you're working. 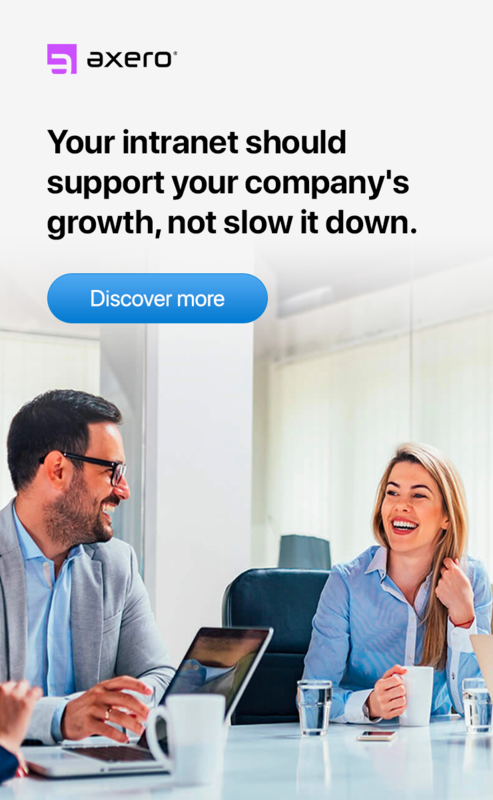 All of this leads to faster, more effective responses to customers – which makes your customers feel more connected to and supported by your company. Considering that each year companies lose an estimated $41 billion due to poor customer service, and nearly 80% of customer service centers say their current systems won't meet their future needs, this is a HUGE win for your company. Clearify, a Houston-based business analytics company, reduced their support costs by 60% by shifting to an intranet. You now have four strong cases to take to your executive leadership to justify signing off on an intranet solution. Of course, you know there's a cost involved in introducing an intranet. Large companies often pay out the nose for it, dropping $100,000 per year for a not-so-full-featured intranet solution. You're smarter than that, though. By now you've realized that we here at Axero are all about helping you solve your business challenges in cost-effective ways. So at the end of your pitch to your boss, point them here to show them that they'll get a full-featured solution for a tiny fraction of the cost of other solutions – even if your company is a large one – and you won't even need a developer to install it. Then don your cape and call it a day. You are now a company hero. This is an awesome article. So appreciated; keep up the great writing and knowledge sharing!